See also NT37SE 105, NT47SW 48, NT47SE 30, NT57SW 111 and and NT57SW 117. 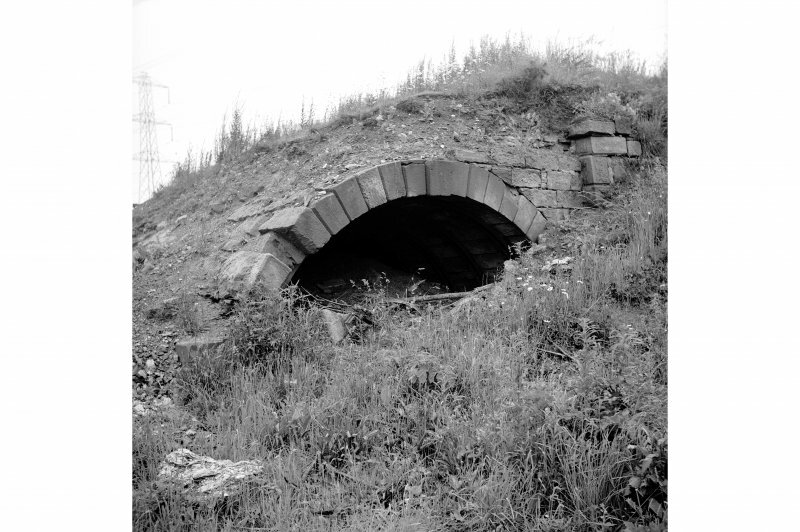 Tranent has been associated with coal mining since the early 13th century, when the Lord of Tranent granted mines and a quarry to the monks of Newbattle. The lower seams began to be worked in the early 18th century, and from 1722 there was a wooden tramway to the port of Cockenzie, replaced by an iron railway in 1815. Cockenzie Waggon-way, opened 1722 by the York Buildings Co. The track of the first railway in Scotland, part beside the B 6371 and part a footpath between hedges. There is a bridge abutment (NT 4028 7414) situated where the main line from Edinburgh to Berwick crossed the waggonway in a cutting at right angles near Meadowmill, necessitating the building of a bridge for the waggonway (overbridge 38). The abutments of the bridge remain though its deck has gone, and the southern abutment forms a continuous structure with a road overbridge. Information from RCAHMS (RJ), 11 March 1993. 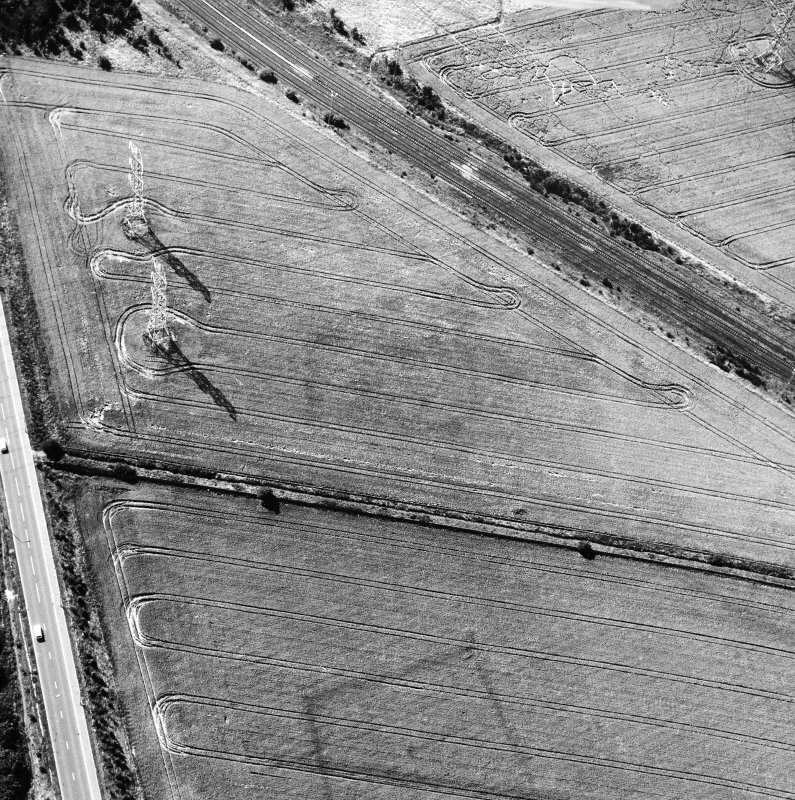 As part of an archaeological assessment undertaken by Scotia Archaeology Limited along the proposed new route of the A1 between Tranent and Haddington, a programme of fieldwalking, excavation and geophysical survey was carried out in 1994 and a watching brief in 1995. 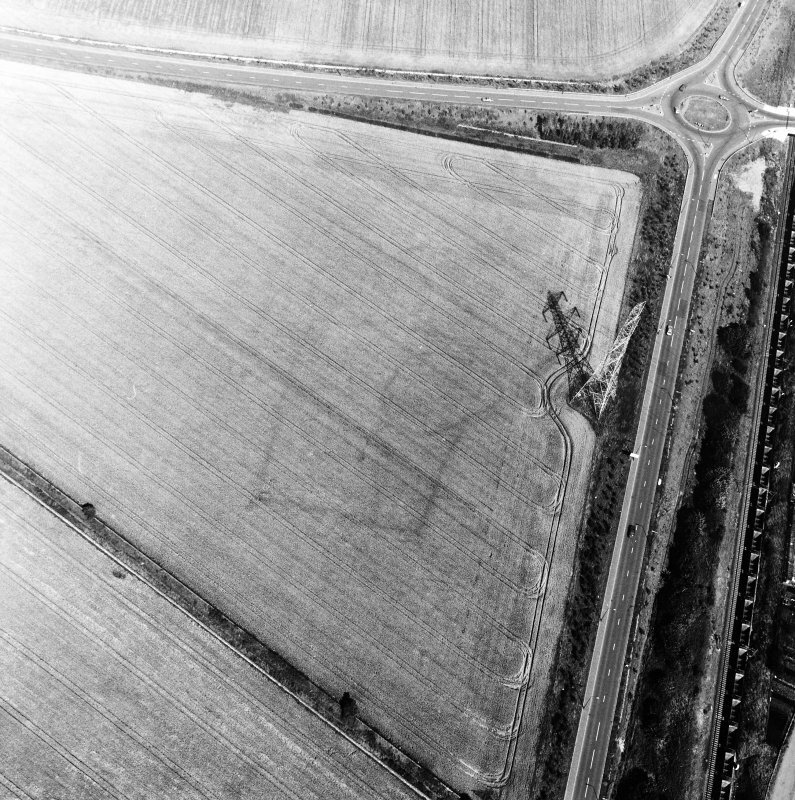 In Area 2 (NT 405 736) the road corridor cut across the waggonway, of which there was no indication prior to excavation. A trench 25m by 5m was opened across the known line of the railway, revealing in section two sets of wheel ruts beneath the rail bed deposits suggesting reuse of an earlier cart track. (See map sheets NT37SE 105, NT47SW 48, NT47SE 30, NT57SW 111 and NT57SW 117 for further details of the assessment). 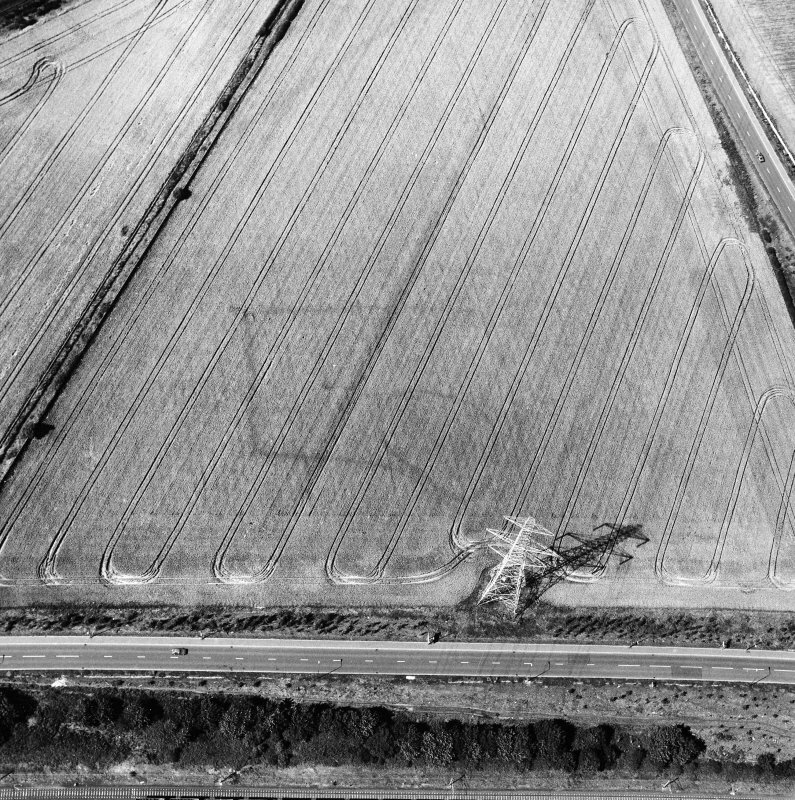 NT 407 734 An archaeological evaluation was carried out in March 1999 at Tranent Mains Farm, in advance of a proposed housing development. The development site includes a stretch of the Cockenzie Waggonway, Scotland's first railway, which served the local coal mines from 1722. A total of 46 machine-cut trenches were opened. In two trenches excavated over the waggonway, the deposits making up the rail bed were found and recorded, along with iron spikes probably discarded when the waggonway was dismantled. However, trenches cut in the mid-20th century for water and sewerage pipes were found to have disturbed and partially destroyed the waggonway remains. 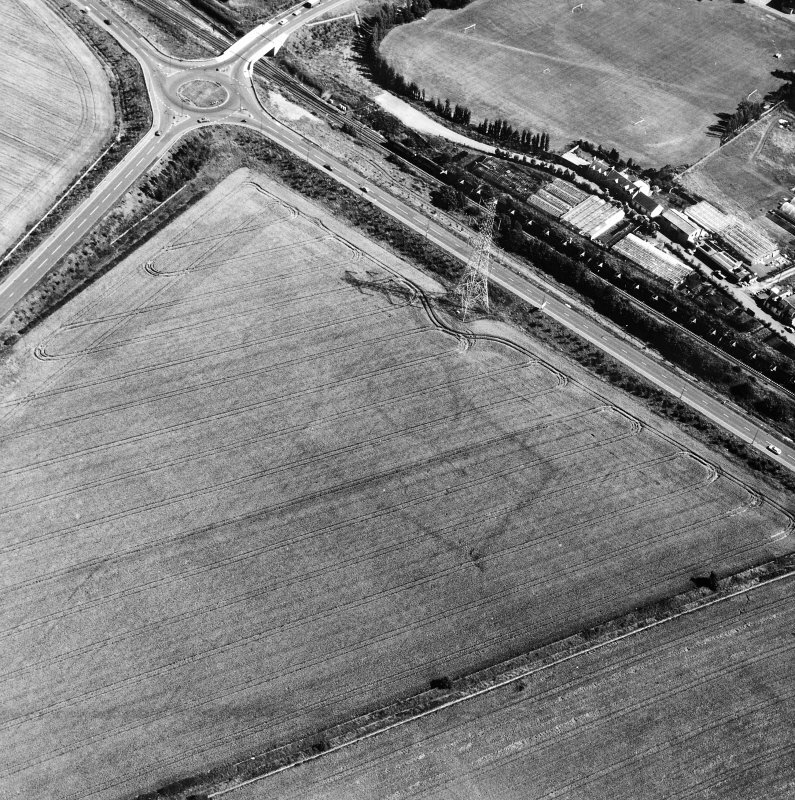 In other trenches, two large ditches were found close to Sanderson's Wynd, the northern limit of the medieval burgh of Tranent; one ditch contained a sherd of medieval green-glazed pottery and several animal bones. (GUARD 710). 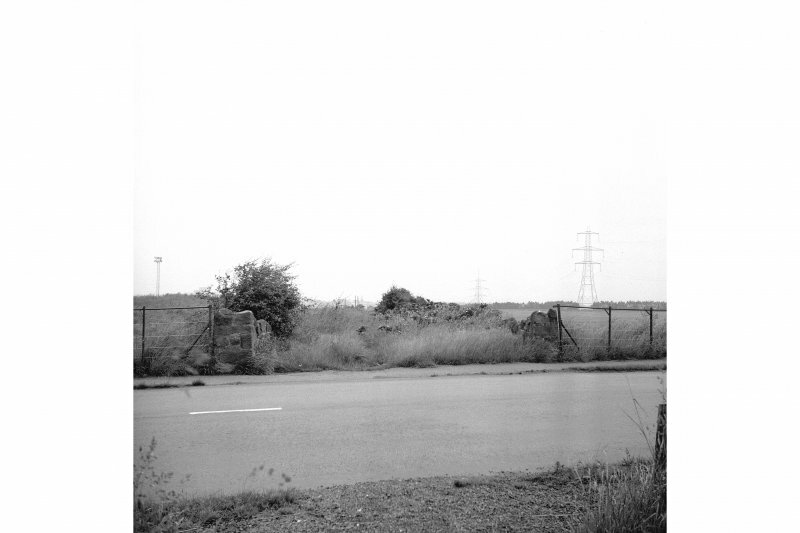 NT 409 733 A programme of archaeological works was undertaken at a housing development in September 2001. These followed earlier works conducted by GUARD (DES 1999, 32). The evaluation was focused around possible medieval features encountered previously. 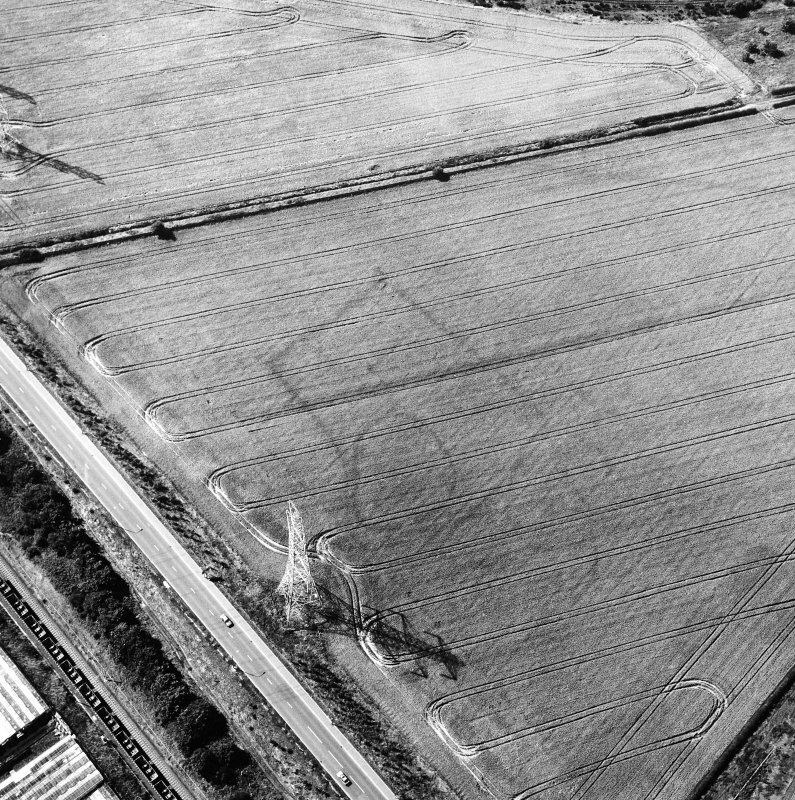 In the evaluation area a large ditch, over 4.5m wide by up to 1.9m deep, crossed the site N to S. Pottery from the ditch points to it being backfilled in the late 18th or early 19th century. A number of smaller ditches ran parallel to the main ditch, but no dating evidence was recovered from these. Three trenches were opened to the E of the evaluation area across the line of the 'Cockenzie Waggonway' as taken from the 1st edition OS map, 1854. These uncovered 19th and 20th-century in situ rail-bed material. Below those were traces of an earlier buried surface that could be related to the earlier 18th-century phases of the waggonway. Sponsor:	Persimmon Homes East Scotland Ltd.
NT 36400 77310, NT 40160 73855, NT 43695 77000, NT 72730 93750, NT 98610 28070, NT 97850 30630, NT 90745 32335, NT 91600 45990, NT 80885 43145, NT 80695 19160, and NT 45050 87970 A programme of work, consisting of a geophysical survey, a geotechnical assessment and a metal detecting survey was conducted, 21 April – 9 June 2015, on brownfield land abutting the SW perimeter of the disused Cockenzie Power Station and seaward to the previous site of Preston Links Colliery, prior to the onshore transmission work for the Inch Cape Offshore Wind Farm. The site covered 22.9ha within the area of the Battle of Prestonpans Inventory Battlefield between sea level and 33m OD. 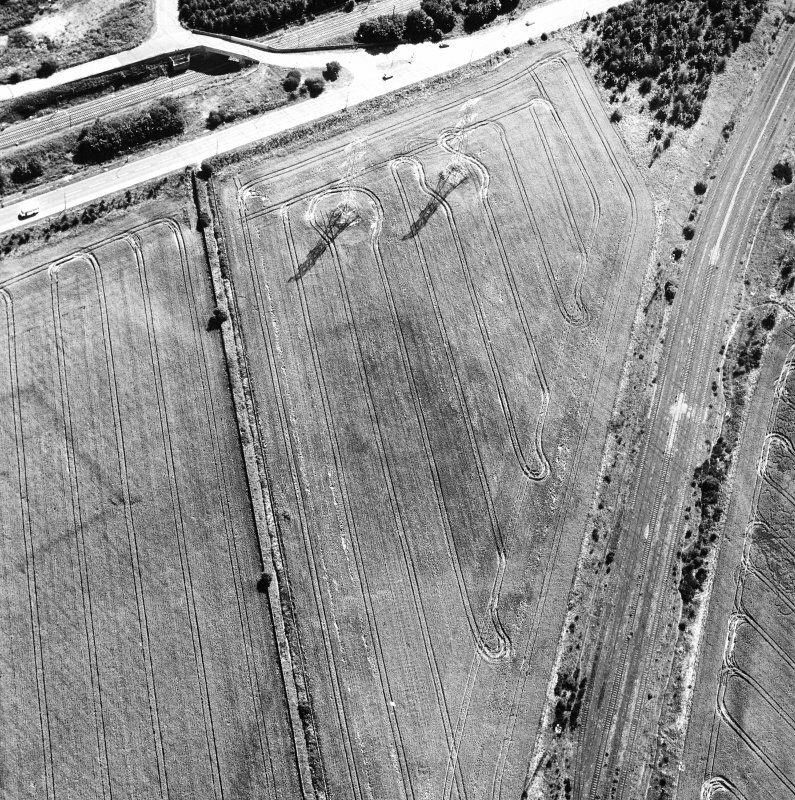 The geo-archaeological assessment highlighted that substantial but variable modern disturbance had occurred across much of the site, with some small uncontaminated areas having a range of sub-surface features of possible archaeological interest. 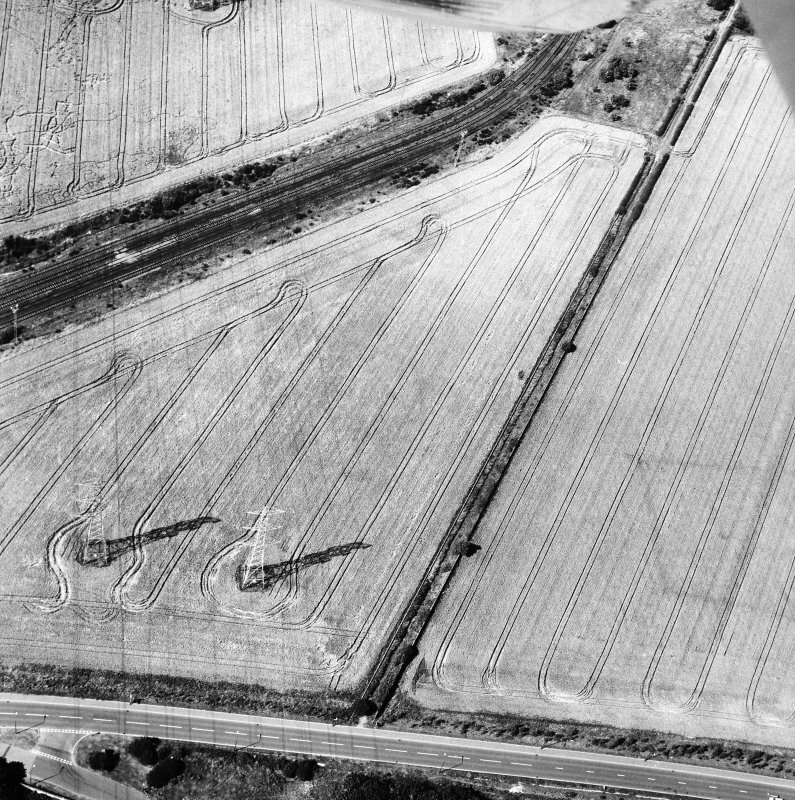 The made ground suggested removal or reworking of deposits prior to the mid-20th-century construction of the Cockenzie Power Station. 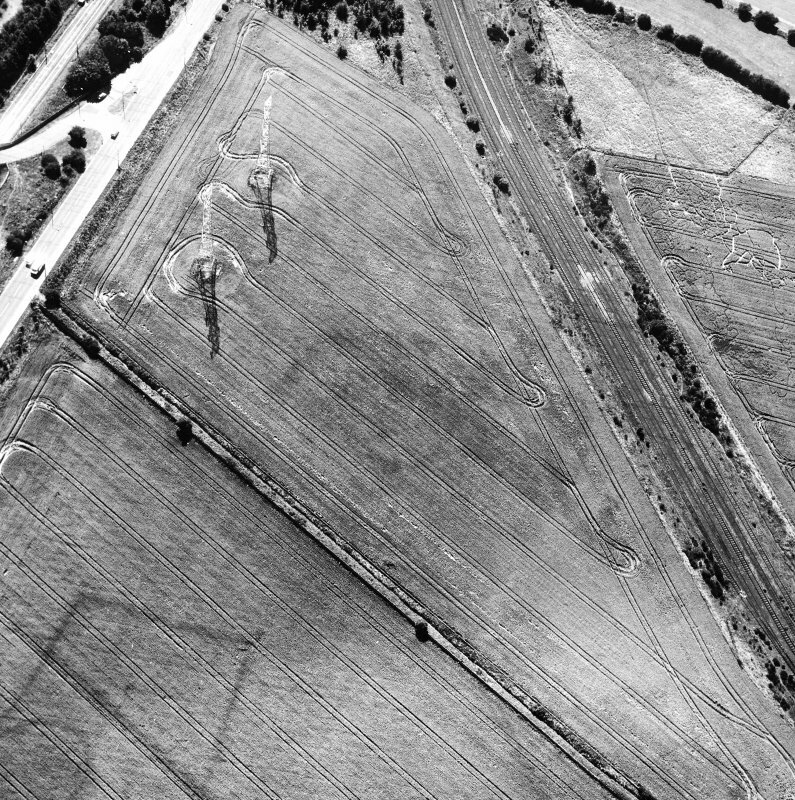 The made ground itself was probably formed of reworked deposits relating to the coal industry in the area (c18th to 20th century), activity on adjoining agricultural land (ie on Thorntree Mains Farm), and additional major phases of reworking associated with mid-20th-century development at the power station. A watching brief on four geotechnical sampling sites recorded no finds or features of archaeological interest. A metal detecting survey at the geotechnical sampling locations and other selected areas, identified 125 anomalies and 145 small finds. Most were not chronologically distinctive, but the majority of the objects were likely to be of 19th- or 20thcentury date. No material relating to the Battle of Prestonpans was found.